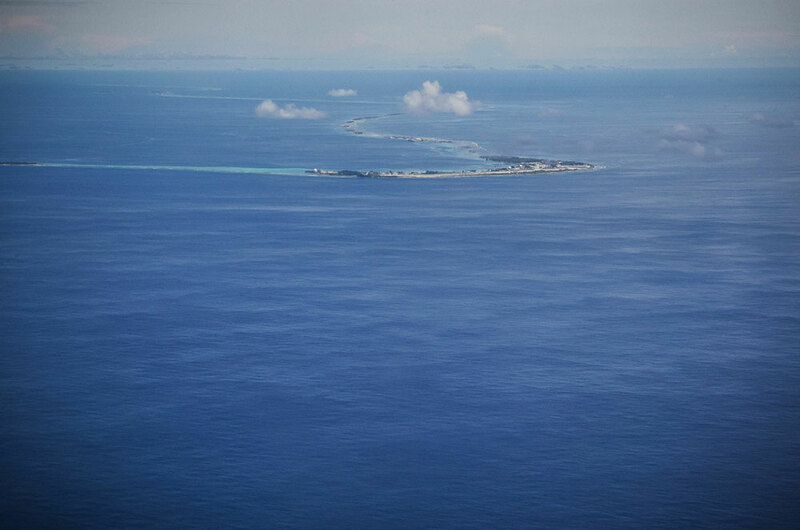 The tiny island of Ebeye in Kwajalein Atoll, Marshall Islands, has a total area of 0.36 square kilometres and is home to over 13,000 people, most of whom were moved there from nearby islands because of a US Army missile range-testing program that was launched in the late 1940s. 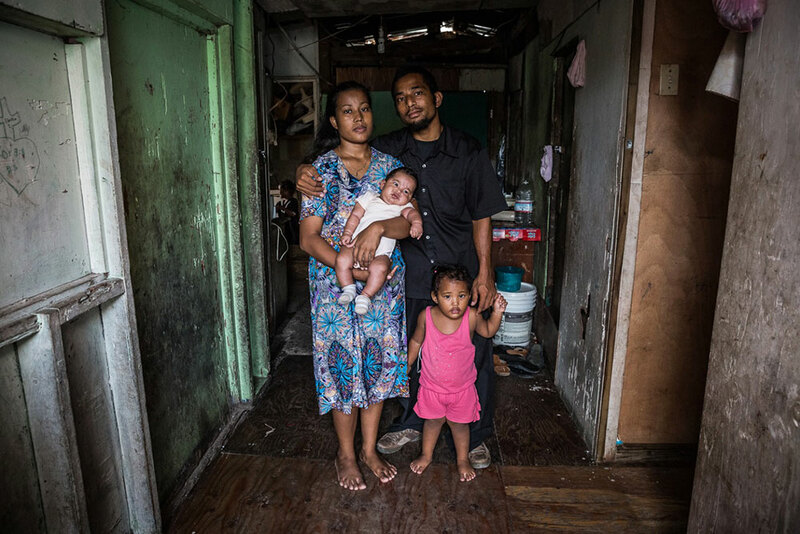 Overcrowding, poverty, outbreaks of infectious diseases and a high level of unemployment has led some to refer to Ebeye as the ‘ghetto of the Pacific’. Until the 1940s, the island’s population was negligible. During the Second World War, Japan occupied the Marshall Islands and moved some 1,000 settlers there and when the US captured the islands in 1944, a new naval base and the movement of people from other parts of the Atoll rapidly augmented Ebeye’s population. In preparation for ‘Operation Crossroads’, an extensive missile testing programme that would eventually comprise 67 blasts, the US military decided to move all non-US personnel from around the Kwajalein Atoll onto Ebeye, which lies around five kilometres north of Kwajalein Island, the largest in the Atoll. On 1 March 1954, under the code name of ‘Castle Bravo’, the US military detonated a dry fuel hydrogen bomb on Bikini Atoll, in the north of the island chain, which was to be the most powerful nuclear device every debated by the United States.Though the Bikini Islanders had been persuaded to relocate to a neighbouring island in 1946, where they had suffered shortages and malnutrition, members of other nearby communities on Rongelap island were not evacuated until 3 days after the blast, causing many to suffer the effects of radiation sickness and birth defects. Keen to return to their ancestral lands, Bikini islanders were tentatively allowed to come back to their homes three years after ‘Castle Bravo’ but had to be moved again after many developed leukaemia and thyroid tumours. 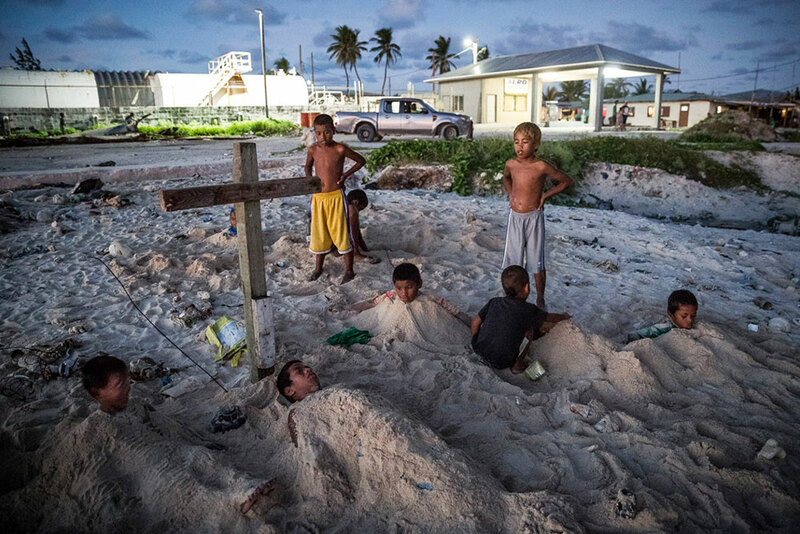 Over the coming decades, some islanders continued to return and try to reestablish their old communities but periodic tests of the soil, water and plant life on Bikini islands consistently suggested that the place had been so polluted by the nuclear fallout of ‘Castle Bravo’ and other tests that it was unsafe to live on the Atoll any longer. Vlad Sokhin (Russia/Portugal) is a documentary photographer, videographer and multimedia producer. He covers social, cultural, environmental, health and human rights issues around the world, including post-conflict and natural disaster zones.